There is a well known paradox, The Paradox Of Choices. With more options comes the pressure of making the right choice. So when the confirmation mail of admissions from IIM Visakhapatnam came, having some more offers already at hand, I was stuck in that paradox. Just like a baby is born and it grows up to be a teenager, IIM Visakhapatnam started its journey with its first batch of PGP from August 2015. Situated in the beautiful “City of Destiny”, IIM Visakhapatnam has grown up, as an enthusiastic teenager under the capable guidance of its mentor college, IIM Bangalore. Seniors say it’s like a startup, the growth of which is in our hands, working hard to establish it as bench mark among other well known B schools of India. The following are some of the interesting facets of the program that it offers that I came across while researching. It’s like a mini India. With students coming from all states of India, IIM V gives a taste of cultural inclusion and variance. The peer learning we will get here will therefore strengthen a future business leader’s ability to handle employees coming from different parts of the world. Mentorship of IIM Bangalore. No words can describe the importance of this mentorship for an upcoming B School. IIM Bangalore being one of the top B school of India , training the best minds of India since 1973 , is one of the major factors behind the best in class teaching of IIM V.
For a future business leader, understanding foreign markets, business behavior and business trends is very important . International Immersion Program also known as the Business Planning in International Markets provides IIM V students just that opportunity. This is a very exciting as well as a noteworthy feature that has been imbibed in the curriculum of IIM V. Through this course, students visit international locations (generally Dubai or Japan) , meet with the top management of various organizations and institutes to get the insights in their working methodology. This course shapes up the business perspective to a great extent. At this age when women all over the world , especially in countries like India are trying to stand up on their own feet and become financially independent , IIM Visakhapatnam has stepped up to encourage them in their endeavors. IIM Visakhapatnam has partnered with the N S Raghavan Centre for Entrepreneurial Learning (NSRCEL) at IIM Bangalore for the nationwide “Women Startup Program (WSP)”. This program will help women to develop entrepreneurial skills to help them start and grow their ventures. Being a woman myself, I consider this institute will be great in helping one to realize one’s entrepreneurial dreams. The college has a number of clubs and committees, run by the student, that provides an opportunity to nurture one’s interests, showcase their talents as well as organize various events that will make the life of MBA memorable. 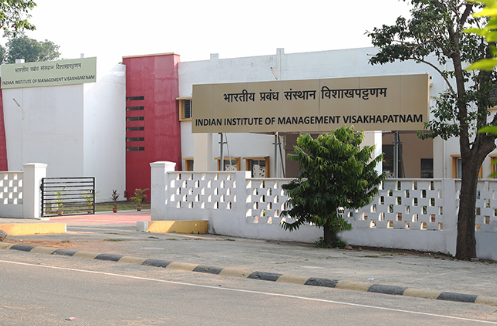 So putting aside all the dilemmas at bay, I choose IIM Visakhapatnam without a single bit of doubt in my mind and I am looking forward to the exciting 2years journey at IIM Visakhapatnam ahead. Aditya Birla Capital Limited is one of the largest financial service players in India. Having gained interest in finance from my previous work experience and eager to pursue my MBA in finance, I would like to be a part of ABCL . It has its business in various fields of finance, namely life insurance, asset management, private equity, structured finance and many more. Being a part of this huge finance service provider, will give me a boost in my career in finance. A very honest and insugtful read. keep it up.